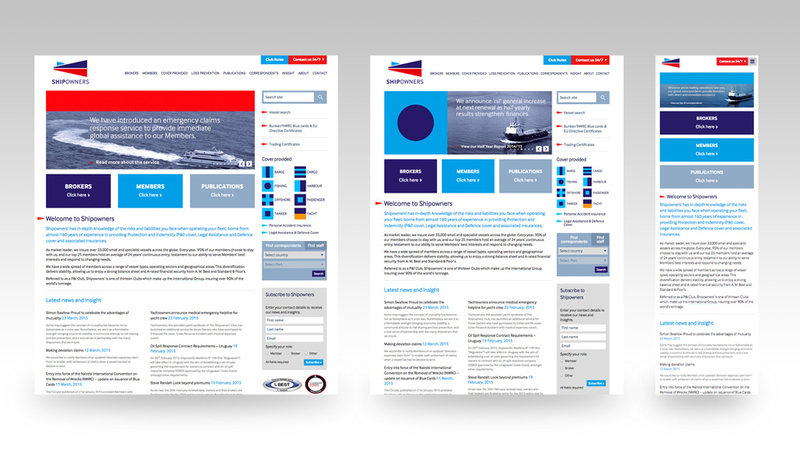 Striking web design and WordPress CMS development that not only appealed to Members of The Shipowners’ Club and provided valuable resources for industry brokers and port authorities, it also helped our client realise a 133% uplift in average users over time. Appealing to multiple audiences can be difficult, especially when you operate in a specialist market. 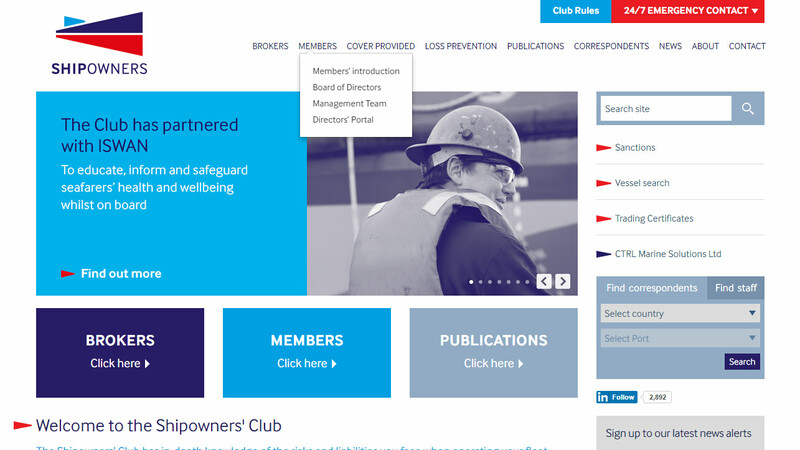 Hoping to create a digital space that would appeal to Members – and provide resources for industry brokers and port authorities – The Shipowners’ Club approached us to develop an eye-catching website that would make the vast amount of information easy to manage and appealing to the target audience. As a mutual insurance association, Shipowners’ caters to the needs of maritime vessel owners, operators and charterers worldwide. 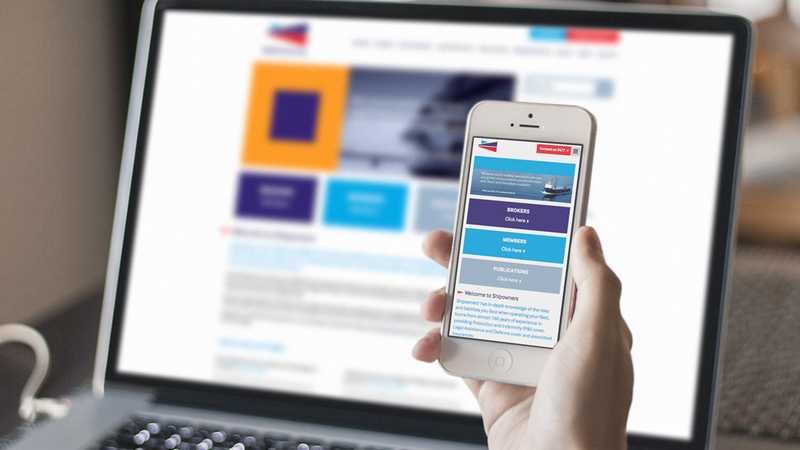 With a network of 600 brokers and 33,000 vessels insured worldwide, our client needed a CMS development solution that would effectively integrate a variety of user-friendly online resources. Many insurance websites contain an overabundance of information that, while essential, can be difficult to manage in a way that appeals to visitors online. Our team aimed to develop an attractive, focused website design that would organise the data and offer practical applications for users. We created a design with bold, visually stimulating colours in a clean layout. The palette – taken directly from the company logo – helped reduce visual noise and strategically extended the brand in a way that appealed to the client’s multiple target audiences. Accessible from all devices, the website included a variety of online resources thanks to the WordPress CMS behind it. In addition to a publications library, which allows visitors to review materials by vessel type and subject, we developed a toolbar with extended search functionality to pull results from documents, databases and other content across the website. To make the website useful for port authorities, as well as Members and brokers, we created searchable database tools to verify insurance status by vessel name or IMO number. Owners can also maintain international maritime documentation by searching and applying for blue bunker cards and trading certificates. Shipowners’ have a global network of well-established Correspondents, located around the world to assist Members. Our team helped the client develop a searchable database tool to locate a Correspondent in the network by country or port. The tool also allows Correspondents to update their contact information to reduce data management and ensure listings remain up to date. We also integrated a user-friendly WordPress CMS (content management system) into the website’s development. This feature made it easy for their internal team to manage the news feed, publication library and other online content. 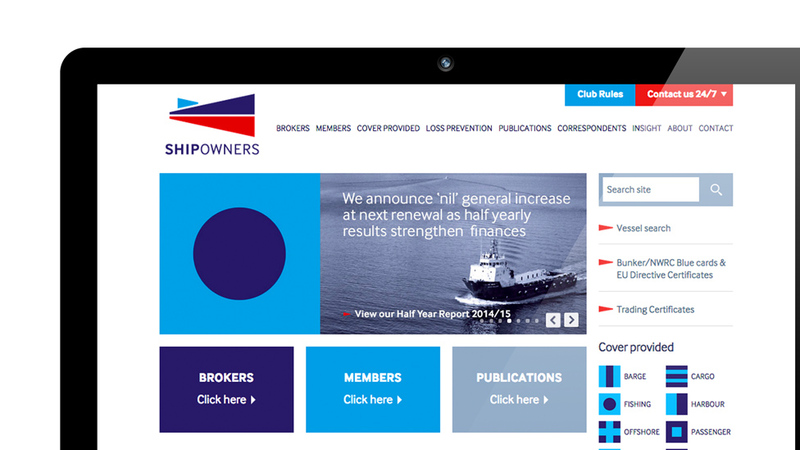 Shipowners’ are extremely pleased with the new website design and received positive feedback from both members and brokers about the practical database tools and ease of use. The space became a resource for individuals in the maritime insurance industry and helped vessel owners secure information efficiently. Within the first month of launch, the client experienced an increase in web traffic and has continued to see usage figures improve, with an uplift in average users of 133%, and a 182% increase in the number of users from outside the UK in the four years since launch. Proud of their past and excited for their future, The Shipowners’ Club asked Parker Design to help them commemorate 160 years in business. We created an interactive infographic that celebrated their achievements and encouraged their customers to engage.